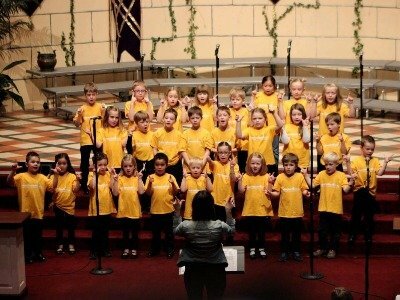 To provide an engaging environment for children that encourages musical, spiritual & personal growth through education, fellowship, & outreach. 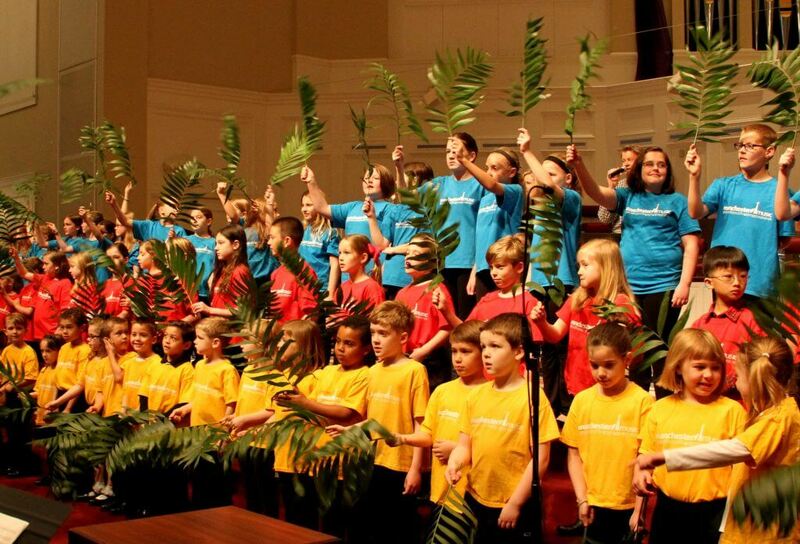 Children’s Choirs meet on Wednesday evenings September through April and sing in worship monthly. Please register by September 1— We must have this information in hand before your child can attend choir! For questions or additional info, contact Lori Borger, Director of Children’s Music Ministry. 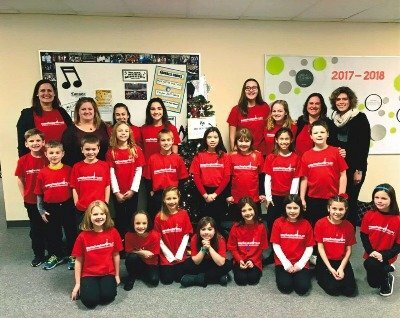 SonShine Singers also participate in crafts, games, and fellowship activities. Joyful Noise members also participate in music theory games, field trips, and outreach activities. Music Makers also participate in a fully-staged musical production as an outreach fundraiser.